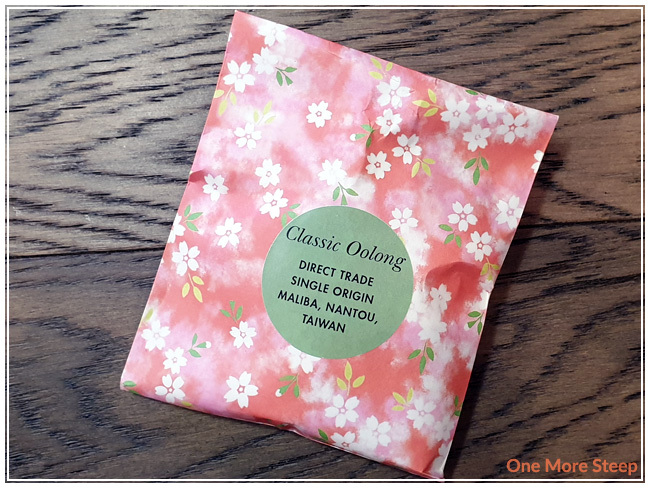 I bought Classic Oolong as part of a mystery bag from Oollo Tea’s booth at the 2018 Vancouver Tea Festival – unfortunately I’m unable to find the product page on their website so I can’t tell you how much it costs at this time (I’ll update this review if I get a hold of the information). This sampler contains 15g and the tea itself came in a vaccuum-sealed foil pouch (not resealable) inside of a floral patterned paper envelope. The leaves are bright green, tightly bunched together. The aroma of the dry leaf reminds me of floral and pine tree. 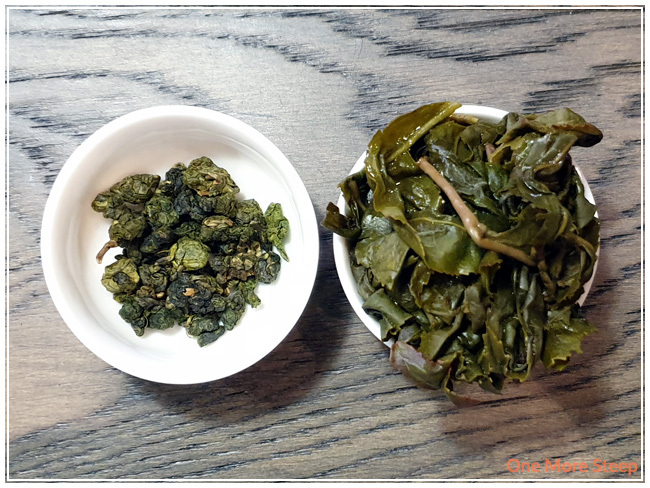 Classic Oolong comes from Maliba, Nantou, Taiwan and is single origin. Single origin describes the fact that it comes from one location – usually one tea farm/farmer and can be directly traced to the original location where the tea was harvested and processed. This is a huge difference from the majority of tea available via grocery stores, as you often don’t know where the tea came from aside from a general area or country of origin. There were no steeping instructions with Classic Oolong, so I went back to my own steeping guide. I steeped Classic Oolong using my Breville IQ Kettle‘s oolong setting (90°C/195°F) and my initial steep was for 2 minutes. 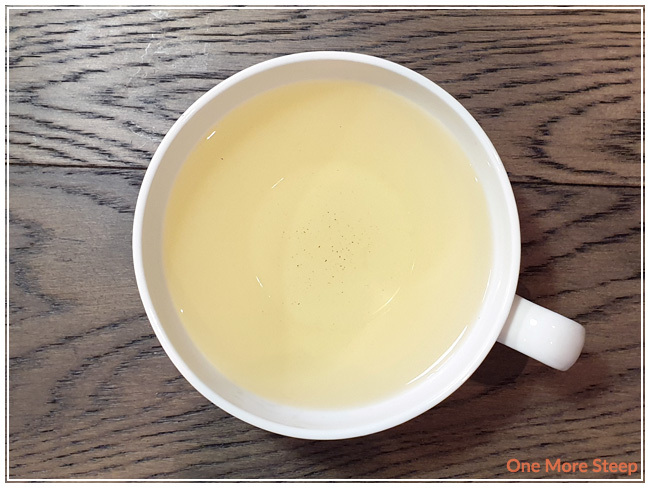 Classic Oolong steeps to a light yellow. There’s a beautiful light floral aroma from the tea. On first sip, I can taste the floral, with a touch of pine in the background. It adds a bit of a ‘woodsy’ flavour to it, which is pleasant as it’s well-balanced against the floral notes. There’s some creamy notes that I can taste as well, which are delicious. I resteeped Classic Oolong a total of six times, adding an additional 30 seconds for each subsequent steep. The colour of the tea got deeper for the first three resteeps – becoming more of a golden yellow colour. The flavour became more floral and creamy and less pine. 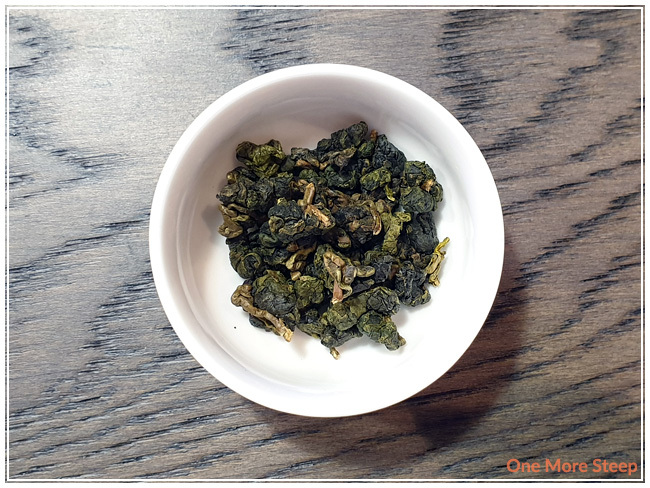 I found that by the third resteep, Classic Oolong had a very buttery flavour to it with a thick mouthfeel compared to the initial steep. I found it to be very pleasant. 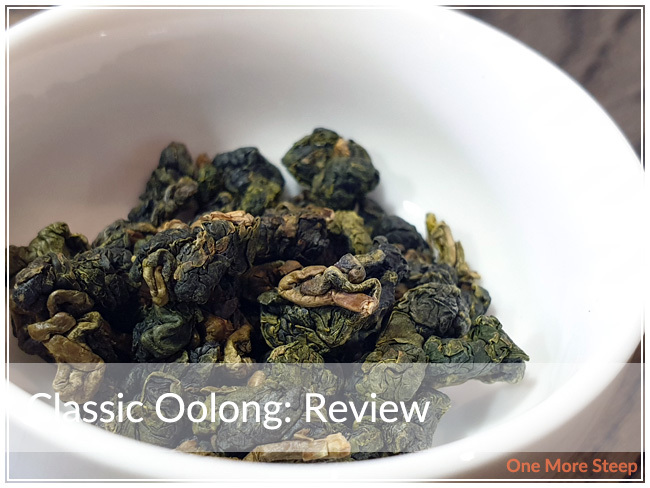 I loved Oollo Tea’s Classic Oolong. I felt that it made for a lovely cup (pot…) of tea, and loved how the flavour profile shifted a little bit with each steep. I do wish that I could tell you more about the tea, so hopefully that information becomes available to me in the near future. The pine notes were a bit of a surprise, but I love how it gave way to a more buttery flavour profile. The leaves are a good quality though, as they resteep beautifully and allow for a good amount of flavour with each steep.